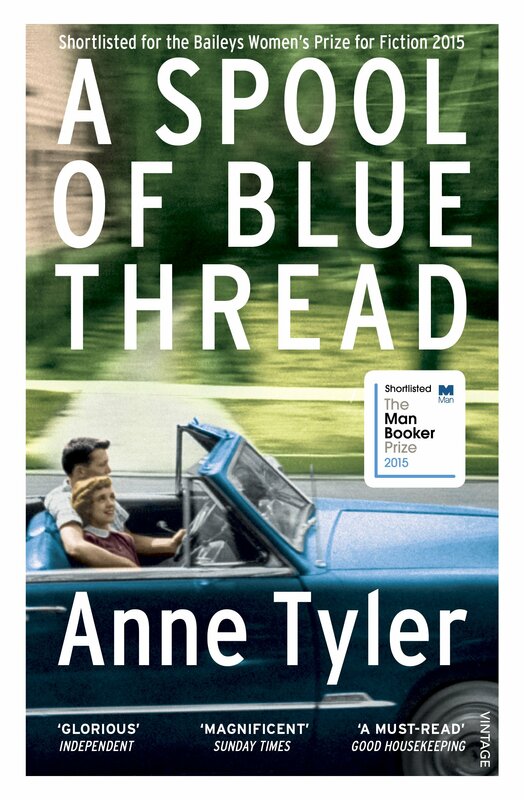 A blue car, blue paint, blue eyes and blue sky pop up from the cover onwards but the blue thread tying them all together doesn’t appear until the very last moment. We start with an estranged son ringing to drop a bombshell on his parents who immediately disagree about how the bombshell should have been handled. From there on we go backwards in time and discover the family dynamics that lie beneath the surface of this all-American family and their rather impressive house. Two older sisters and a younger brother who seem to be able to do no wrong. Past painted, we fast forward to the time when the parents begin to need help around the house. Familiar heart-breaking dilemmas about how to help fading parents are played out among the siblings. Just as you think that you know all the characters and are waiting for future events to bring the story to an end, Anne Tyler suddenly drops a jaw-dropping piece of information in your lap. She does so with such calm that you need to do a double take to ensure that what went into your brain is what is really printed on the page. Nothing is as it seems. Never judge a book, or anything else, by its cover is the message that I am going to take away. A Spool of Blue Thread has a splendid cover and many people will be lured into buying the book on the strength of it and they will not be disappointed. Almost every truth that you learn about the characters seems to be debunked at some point but not in a way that makes you feel cheated. Each shock makes you look at the person that you thought you knew in a different and generally from a more sympathetic angle. I confess that by the last page I was in tears. For more engrossing reads check out my Best Books 2017 post.